The benefits of fish oil supplements seem to pepper the evening news and local newspapers on a regular schedule. Is the hype is really worth investing in a fish oil supplement? 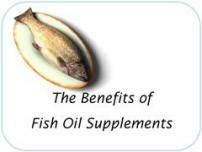 Based on the latest scientific research, fish oil supplements are not just the latest fad. 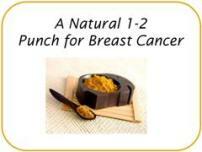 and the treatment and prevention of cancer. The benefits of fish oil supplements are attributed to the multiple body systems that fish oils affect via multiple functions. EPA, and DHA, are the components of fish oil that are most often studied for their biological activity... and they affect inflammation, blood clotting, high blood pressure, and high cholesterol just for starters. These fatty acids can act as messengers and prompt signalling throughout the body. They can act as the "key" to specific biological "locks" throughout the body. Fatty acids can control the expression of genes and the production of proteins. Omega-3 fatty acids can heighten immune system function. EPA and DHA can also be planted in cell membranes throughout the body. This variety of functions in a variety of locations means there are a variety of effects. Inflammation, for example, can affect any body system, as can the integrity and composition of cell membranes. It's safe to say that in order to keep all of our body systems in good working condition, the fatty acids from fish oil are very important. Let’s talk about the basics first. Omega-3 fatty acids are part of the polyunsaturated fat family. 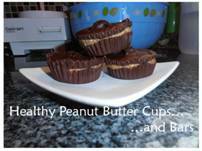 They are quite different from omega-6 fatty acids, even though those are polyunsaturated fats, too. EPA and DHA are the omega-3 fatty acids that are most prevalent in fish oil. ALA is another omega-3 fatty acid, and it is found in plant sources such as walnuts, flaxseeds, chia seeds, and green leafy vegetables. The body cannot synthesize ALA, so it must be obtained by eating foods that contain it. It is considered an essential fatty acid. EPA and DHA can be synthesized from ALA, although the body does a relatively poor job of it. Depending on the study, the conversion rate of ALA to EPA and DHA is 1-10%. That means eating 10-100x times more ALA in order to get the amount of EPA and DHA you’re aiming for. It is important to note that the studies reviewed for the benefits of fish oil supplements focus on EPA and DHA - the omega-3 fatty acids that are found in fatty fishes such as salmon, herring, mackerel, sardines, and rainbow trout. The effects of EPA and DHA cannot be automatically extended to ALA from plant-based foods like walnuts, even though ALA is also an omega-3 fatty acid. The formal recommendation for fish oil dosage is a minimum of 250-450 mg of EPA plus DHA combined daily. Other experts in omega-3 fatty acids recommend at least 1,000mg daily, which I personally think is more consistent with the benefits of fish oil supplements seen in scientific studies. The FDA has ruled that up to 3 grams (3,000mg) of fish oils daily is "generally recognized as safe for inclusion in the diet." The FDA has approved a prescription dosage of 3,360 mg of combined EPA and DHA daily. Therefore, if you don’t eat fish daily, you may want to consider the benefits of fish oil supplements, regardless of how many walnuts you eat. Luckily, there are some microalgae that produce EPA and DHA, so quality supplements from those sources may provide a viable option for vegans and vegetarians. One 3oz portion of grilled wild salmon has approximately 0.35g of EPA, and 1.2g of DHA. You can figure 1.5 grams (or 1,500 mg) of combined EPA+DHA per serving to make it simple. 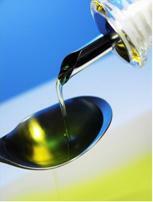 Molecular distillation of fish oil is considered the gold standard for purifying the oil of toxins, and deodorizing it. This also decreases the chances of oxidation (fish oil, as with most oils from living sources can oxidize and become rancid) to extend its shelf-life. Use of smaller fish, such as sardines or anchovies will reduce the risks of environmental toxins. Supplements that carry the USP verified logo meet certain standards of quality, purity and potency. Supplement companies can choose to obtain USP certification (and relatively few currently participate), so lack of a seal does not mean that a supplement necessarily falls short of USP standards. I happen to like Nordic Naturals Arctic-D Cod Liver Oil in the lemon flavor. I buy the liquid so that I can use it for the whole family. Usually the liquid is cheaper per serving than capsules. Always keep the liquid refrigerated. I avoid any fish oil that smells terribly fishy - I take that as a sign of poor purification or rancidity. There are few side effects of fish oil, and the risks are considered to greatly outweigh the benefits of fish oil supplements. But of course, everyone should have an open discussion with their doctor about supplements, especially if you are using prescription drugs. Make sure to notify your pharmacy, too. Fish oil does reduce blood clotting, but reviews state that there is little risk of excessive bleeding with moderate fish oil intake. Folks on blood thinning medication definitely need to talk to their doctor first. Similarly, high doses of fish oil have effects on blood glucose levels and the production of "bad" LDL cholesterol. Neither effect is considered clinically significant, but may warrant a talk with a physician if you are already monitoring blood glucose or cholesterol levels. Otherwise, side effects are generally mild. Some people complain of stomach upset (you can try working up to your desired dose over a few weeks, or taking smaller doses throughout the day) or flatulence (you can try another, higher quality brand). Tvrzicka E, LS Kremmyda, B Stankova, A Zak. "Fatty acids as biocompounds: their role in human metabolism, health and disease - a review. 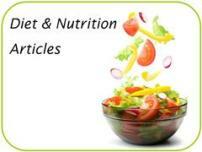 Part 1: classification, dietary sources and biological functions." Biomed Pap Med Fac Univ Patacky. 2011;155(2):117-130. Zargar A, MK Ito. "Long chain omega-3 dietary supplements: a review of the national library of medicine herbal supplements database." Metab Syndr Relat Disord. 2011;9(4):255-71.